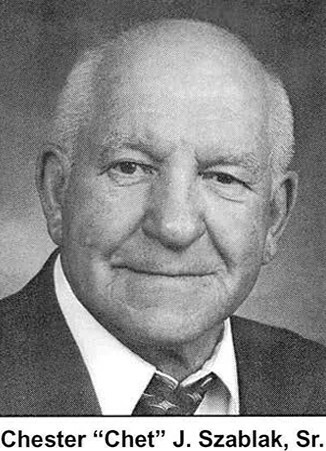 Chester “Chet” J. Szablak, Sr. 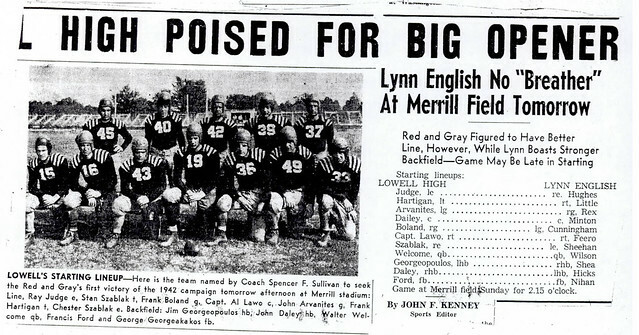 Competing during the dark days of World War II when the hearts and minds of most Americans were focused thousands of miles away on far-flung battlegrounds across the globe. 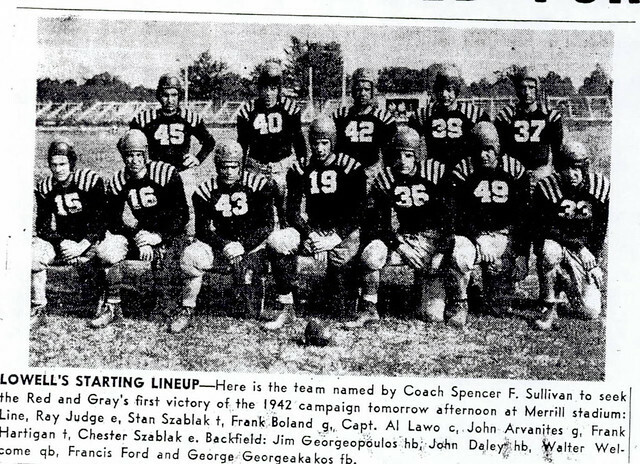 Chet Szablak, Sr., was one of the young student athletes whose exploits on the playing fields back home provided a welcome respite from the worries and cares of those on the home front. 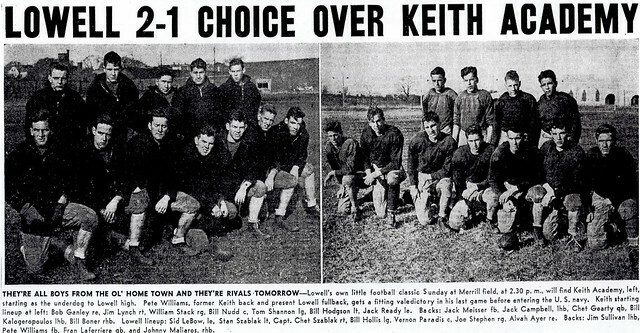 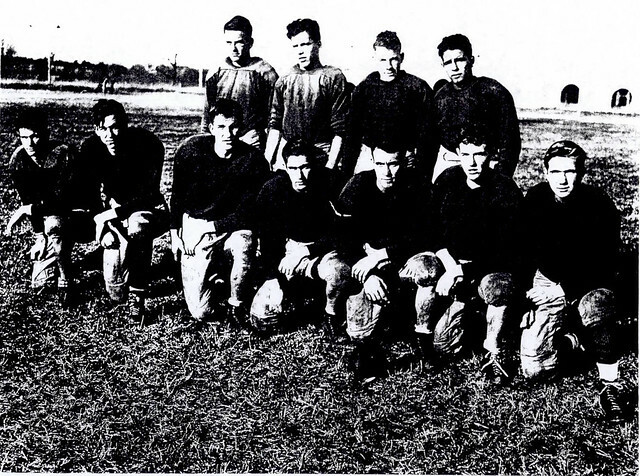 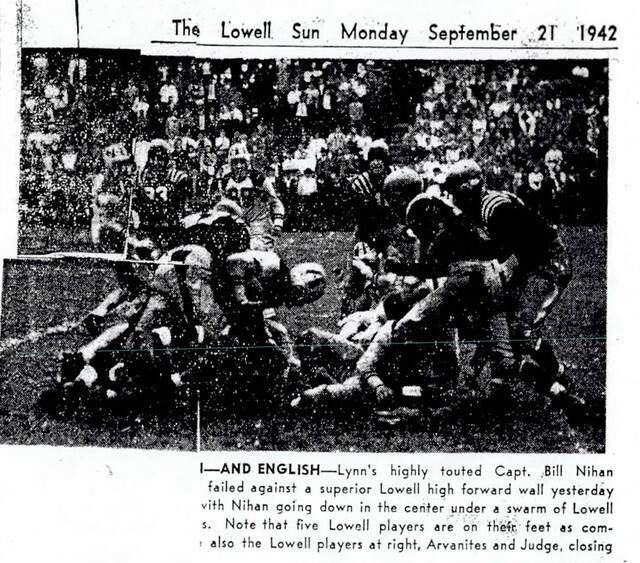 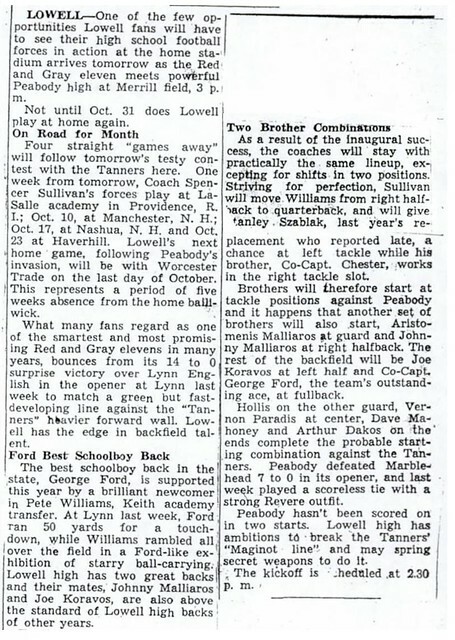 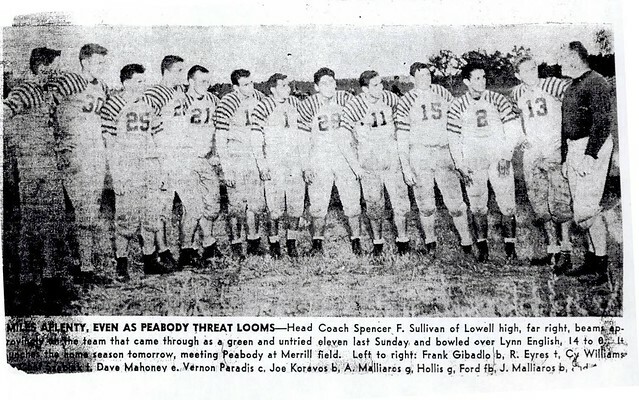 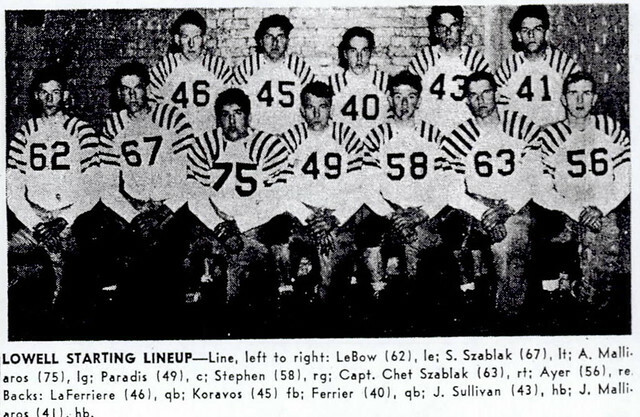 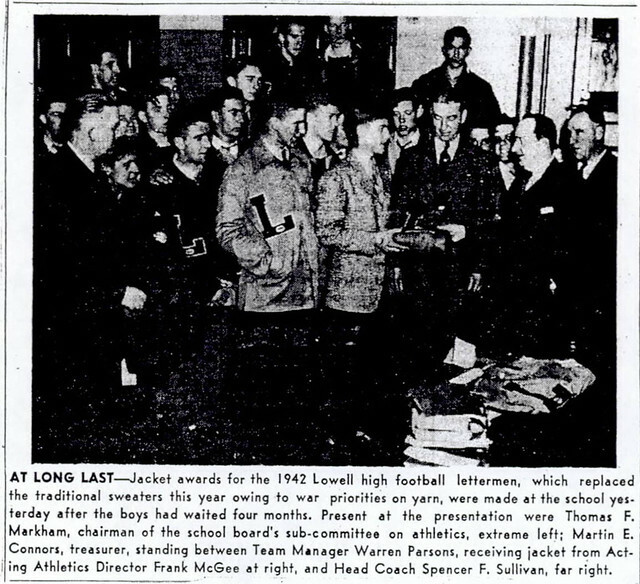 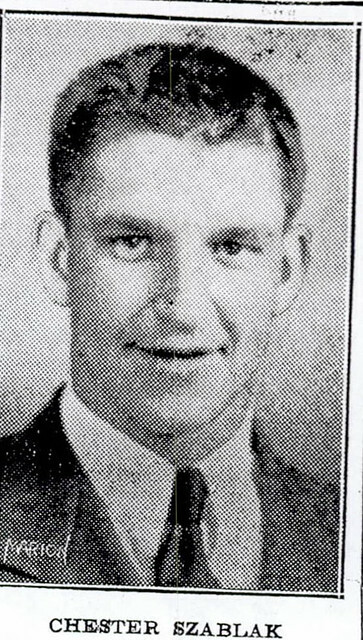 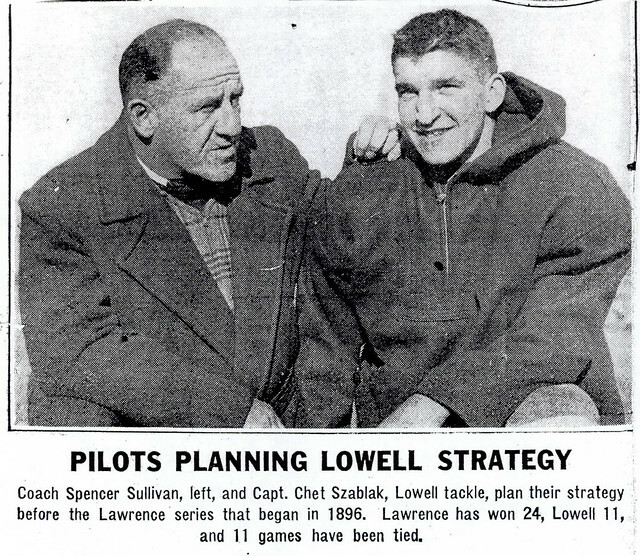 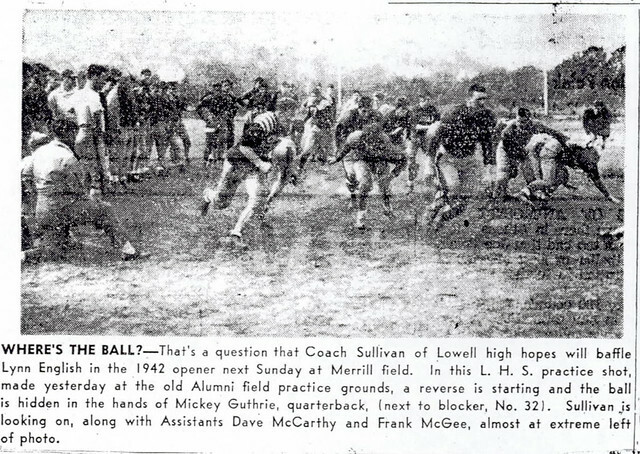 A four year member of Coach Spencer Sullivan’s Lowell High School football team, Chet blossomed during his junior (1942) and senior (1943) seasons. 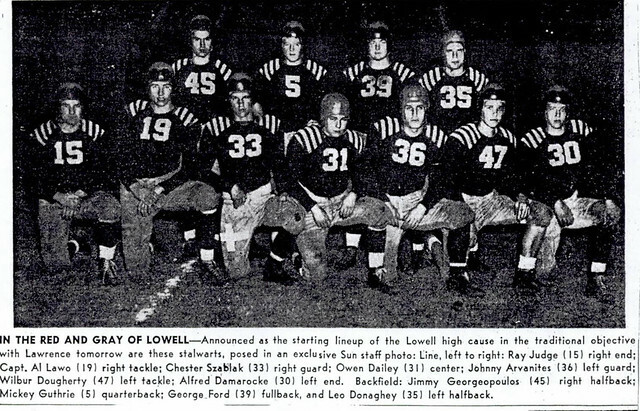 During Chet’s senior year, he started at tackle (opposite his brother Stanley) and guard for LHS and was elected team Co-Captain at the youthful age of 15. 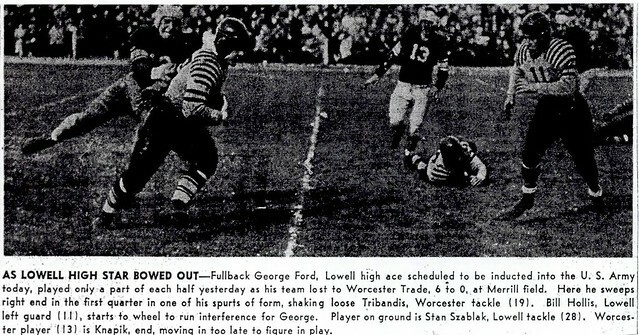 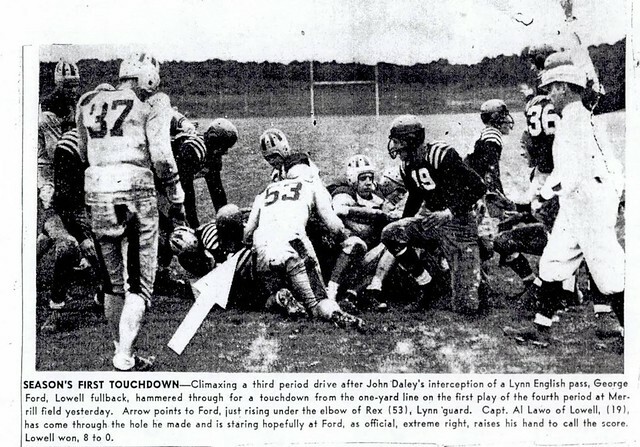 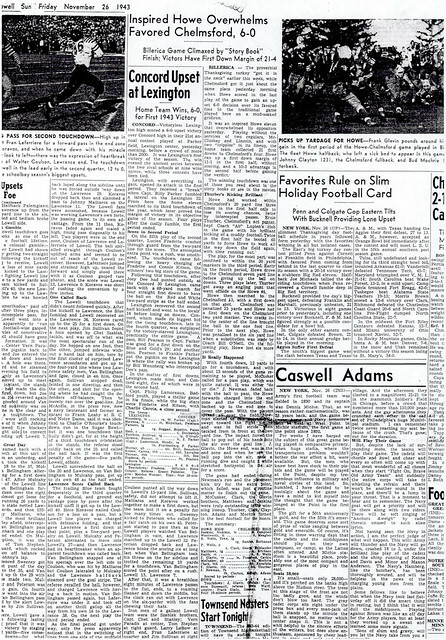 His fellow Co-Captain was Lowell High School Athletic Hall of Fame member George Ford, the star running back who followed Chet’s crushing blocks on a regular basis. 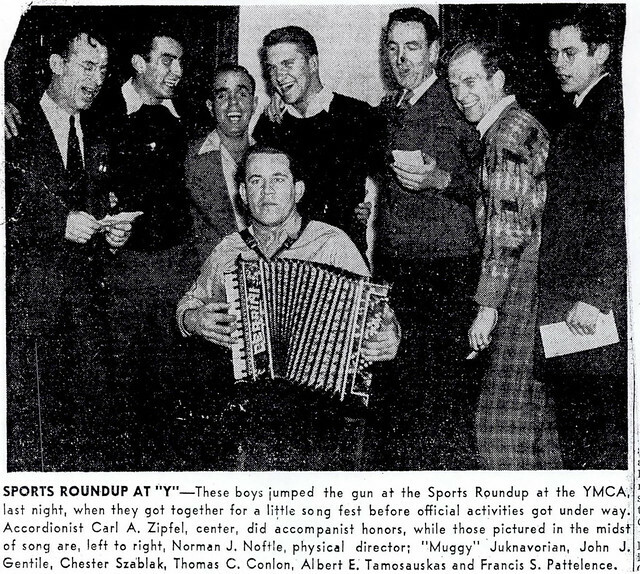 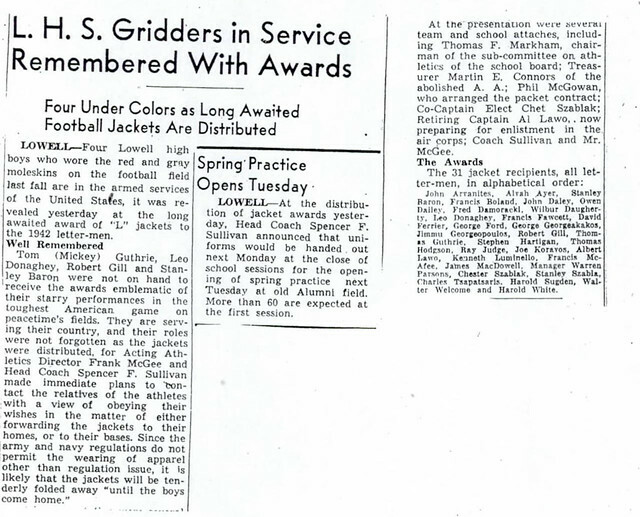 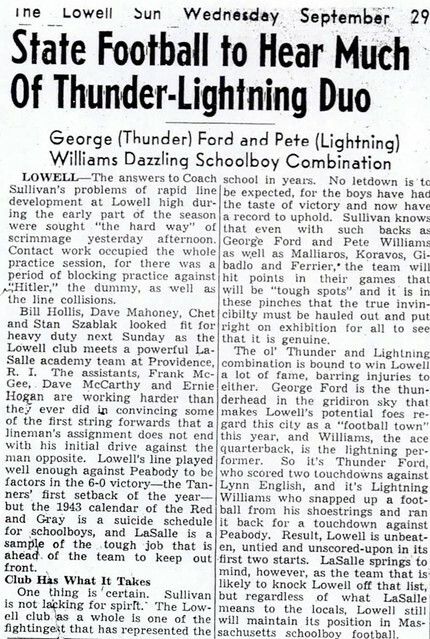 It was due in no small part to Chet’s efforts as a lineman that Ford was selected as the Boston Globe’s 1943 schoolboy star of the year. 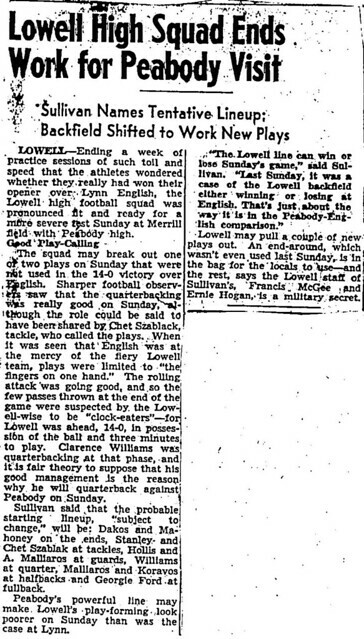 The highlight of Chet’s senior year occurred in a monumental 13–7 upset over heavily favored arch-rival Lawrence on Thanksgiving, 1943. 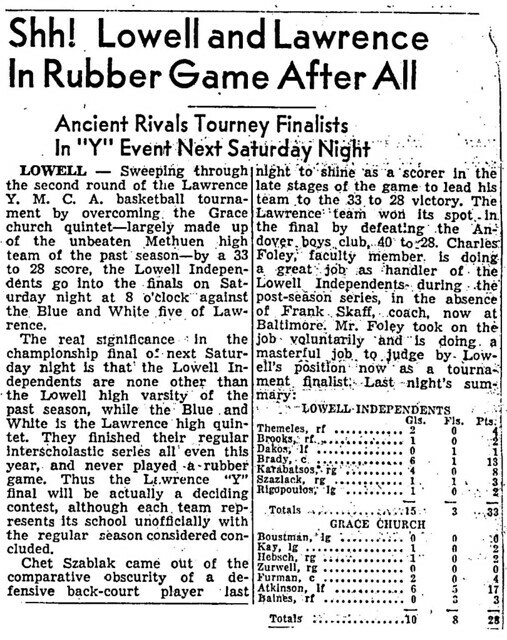 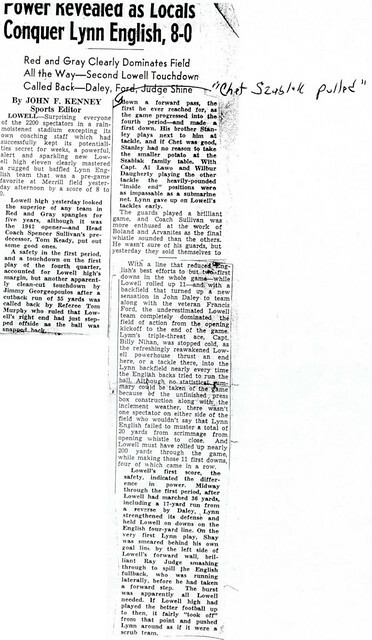 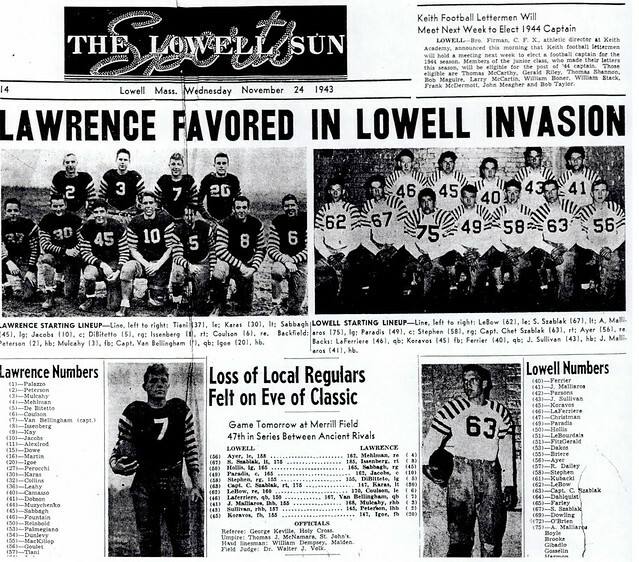 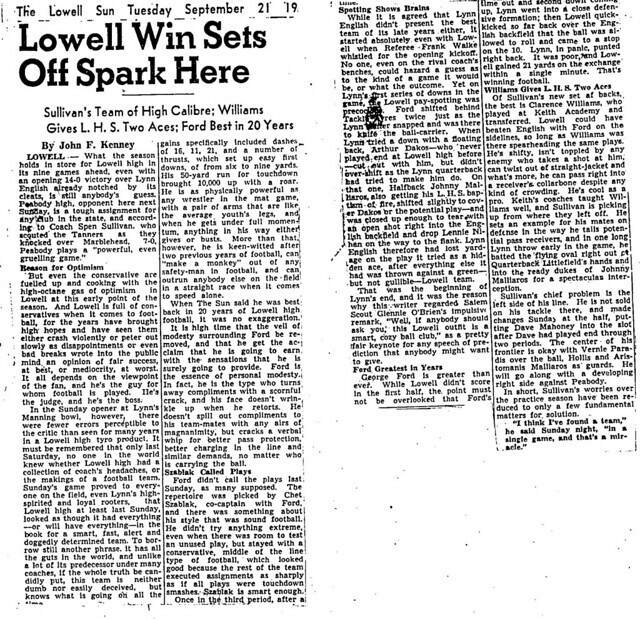 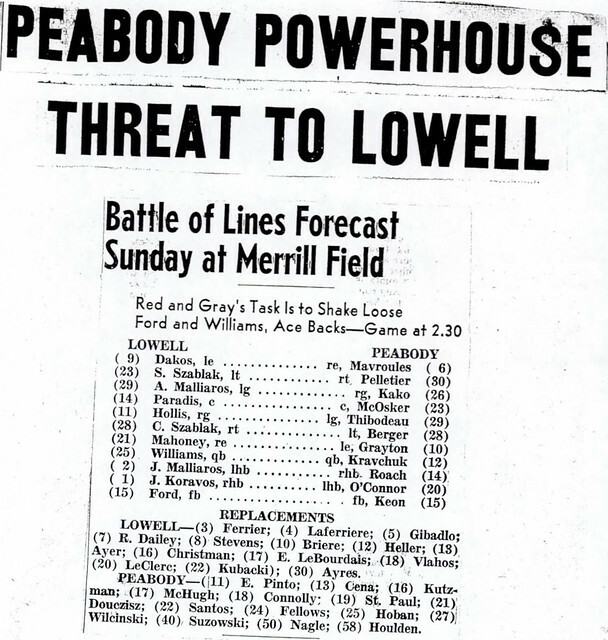 Despite losing George Ford and other team members to the wartime draft call up of 18- and 19-year olds, Lowell scored its first victory over Lawrence since 1938. 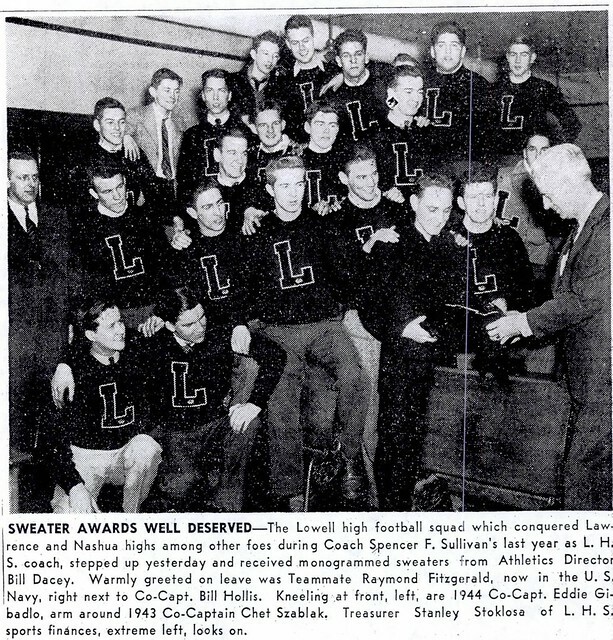 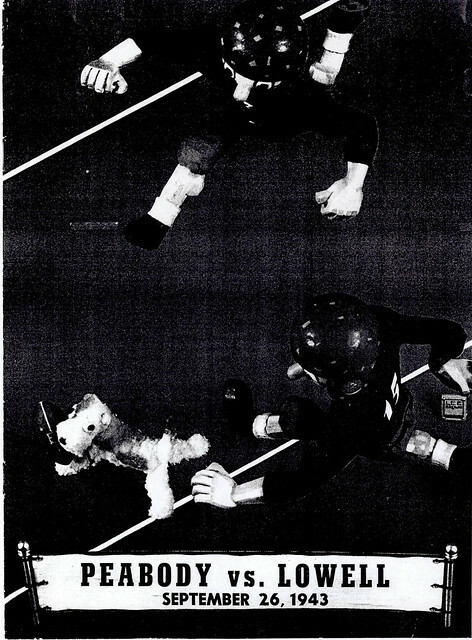 Chet was named to Lawrence’s all-opponent team following the 1943 season, underscoring Chet’s impact in that contest. 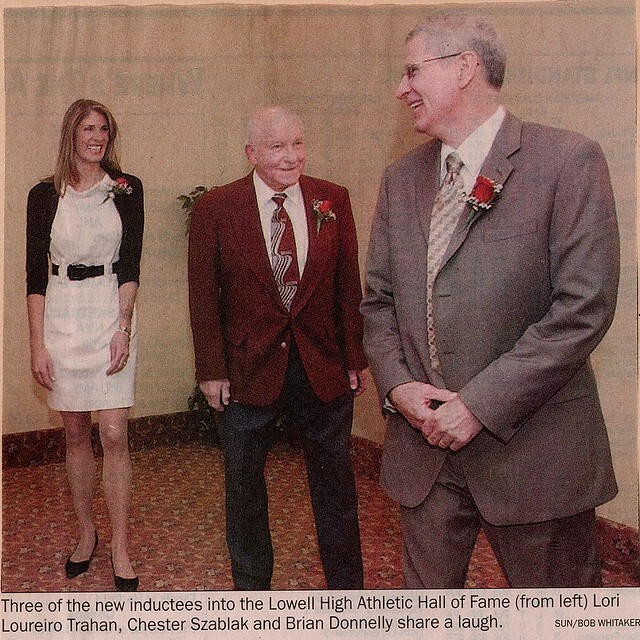 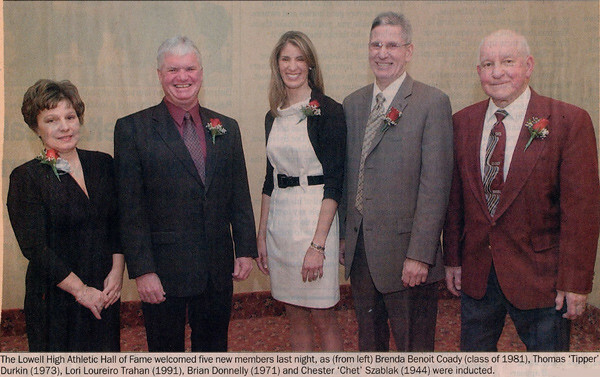 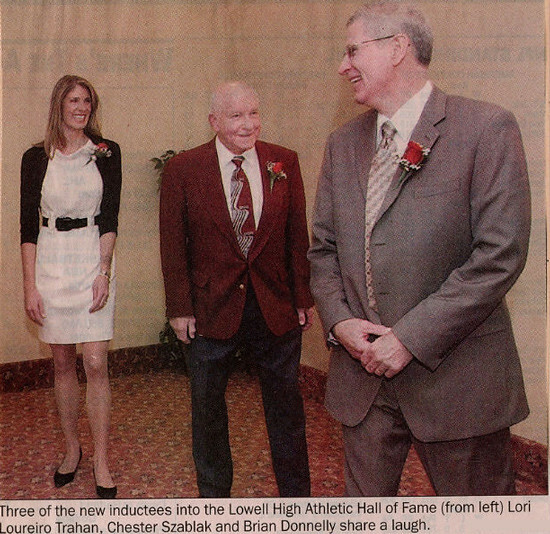 The Lowell Sun further praised Chet. 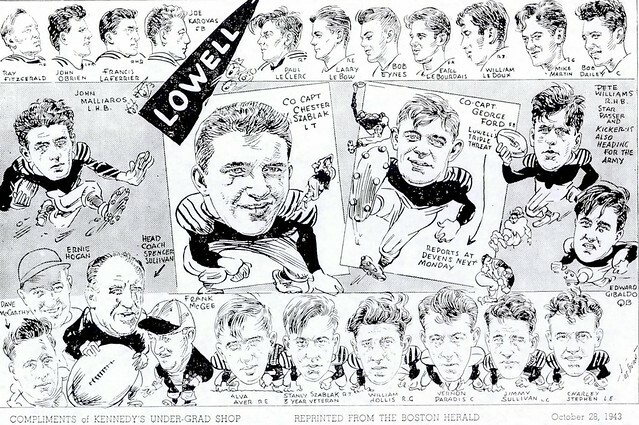 “Rangy and strong, his line play has been an inspiration to a team which has not faltered since four of its regulars were lost. 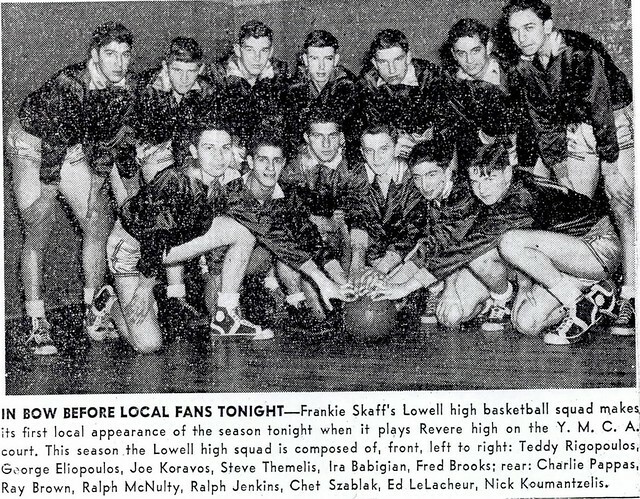 A solid all-around athlete, Chet was a rugged, defensive-minded guard for Coach Frank Skaff’s LHS basketball squad during his junior and senior years.